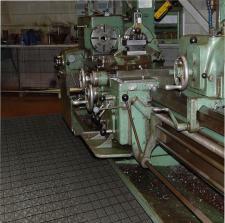 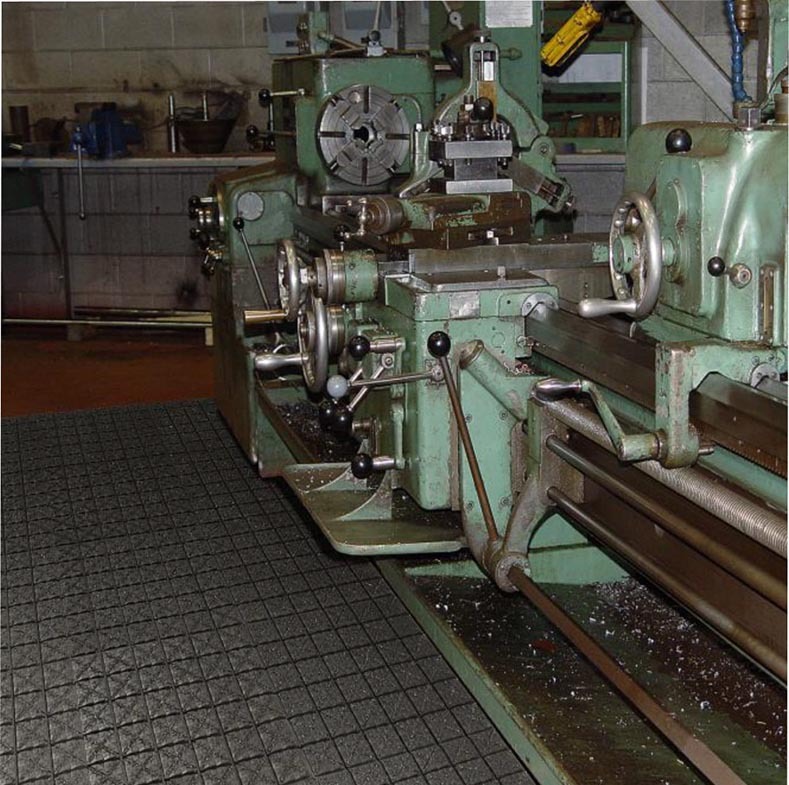 The Ergo X-treme Anti-Fatigue Interlocking Tile is designed for the most demanding work areas such as factories, machine shops, auto manufacturers and repair shops. 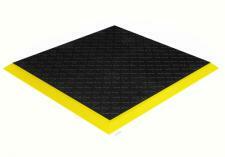 These tiles are 18" x 18" interlocking made from durable compound nitrile rubber making them grease 100% impervious to grease and oils. The "X" patterned surface provides traction, and can be purchase with holes for drainage or with a Grit-Safe surface for added traction in extremely slippery conditions. 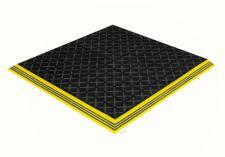 Yellow safety ramps and corners are also available to ensure worker safety and eliminate trips and falls.